Many are turning to Tai Qi exercises to help improve their health on many levels and to insure that they are flexible and mobile in their upper years. There are many types of Tai Qi exercises that range from simple breathing techniques to full “forms” of movement that may take years to master; luckily, even the most elementary efforts can pay off big in your wellness efforts. The movements of Tai Qi are slow and deliberate, and the breathing is controlled. You will first want to discover your Dantien, or Dantian, an energetic center located two thumbs widths below your belly button and in the center of your body. Simply breathing a clean white lite into your Dantien for 10-15 minutes a day will begin to restore your core energy. In the western world, exercise means lifting weights, running, and dancing hard. According to Traditional Chinese Medicine (TCM), this type of exercise is seen literally as “work” that will deplete your Qi, or energetic reserves. Conversely, Tai Qi builds your Qi, or Chi, energy and restores your health and vitality. 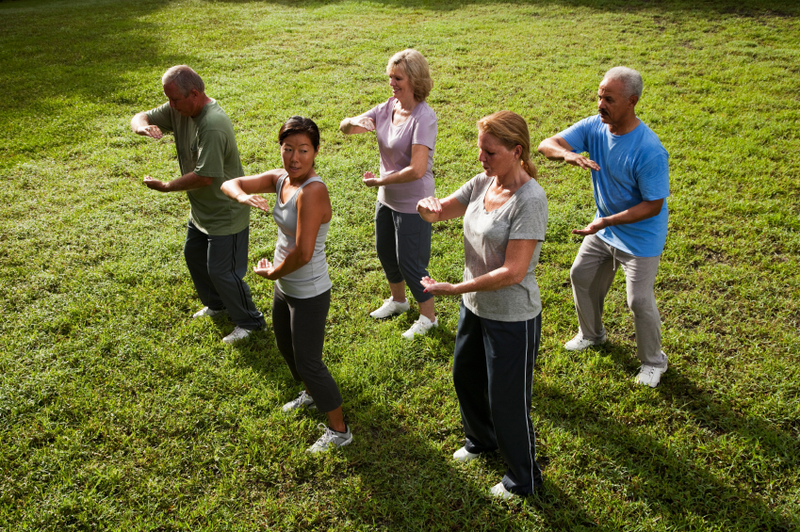 For those of us who live in a larger city, Tai Qi classes are available at most community centers. Others without access can now find guidance and demonstrations on Youtube.com. More than ever, this ancient healing practice is available and accessible to all. It is important that you start off slow and realize that you are learning skills that will serve you throughout your lifetime. Unbeknownst to many westerners, there is a strong movement of Holistic Nurses who practice energy medicine in all major medical hospitals. They learn how to manipulate energetic fields of patients in an effort to calm the nerves, release tensions, and relieve pain. Medical Qi Gong is a bit more intense and focused; practitioners intentionally move Qi energy and remove blocks utilizing a complex set of theories dictated in Oriental medicine. Practioners themselves learn how to conduct Qi through their own bodies and enhance a patient’s wellness. Qi gong is one of the five branches of Chinese medicine which also includes acupuncture, Tui-Na medical massage, herbalism, and Chinese food therapy. Optimally, this therapy leads to physical and emotional wellness; joy in everyday living, enhanced perceptive powers, and a renewed sense of connection to the divine are a few of the benefits that patients will experience. It is human nature to seek higher attunement with the sacred. Chinese Medicine views humans as a bridge between heaven and earth. As such, to reach our fullest potential we must restore a harmonious state of Qi. We now know that Spirit is a form of energy, as everything in nature is composed of rhythmic and vibration energy. In Chinese medicine this energy is referred to as Qi, and Taoist philosophy teaches that humans are a living organism infused with Qi. Qi flows through all things, but in humans, and abundance of pure Qi, flowing correctly, insures spiritual, emotional, and physical health. As modern medicine employs the understanding of energy and quantum physics, diseases will be recognized and treated before it affects the physical body through energetic healing. This is true preventive medicine and is how Chinese medicine creates wellness and optimum health. Miracles can and do happen. However, healing and transformation are typically hard work. When disease is present, major changes are usually required at all levels: physical, energetic, emotional/mental and spiritual. Each of these levels, other than the physical, can be considered as a subtle body or field that surrounds body and penetrates the physical body. These subtle bodies and their effects have been studied by Chinese Medicine for thousands of years and are brought into balance through Qi Gong. In addition to physical exercises and energetic healing treatments, the practice of Qi Gong meditations offers a wellness modality that initiates self-healing through imagery and breathing. During Qi Gong meditations you will visualize healing through the Five Elements: the Water Element, Wood Element, Fire Element, Earth Element, and Metal Element. All the while, you will be restoring health and vitality to the organ system related to these elements.